Are there any novels by H.G. Wells that haven't been made into movies? Burt Lancaster stars in a 1977 release of the island of doctor moreau. Given the curent controversies raging around stem cell research, perhaps those that are against 'meddling' with nature are taking Well's cautionary tale of the mad scientist Dr. Moreau's genetic experiments to heart! Bizarre experiments on animals turning them into semi-humans are exposed when a ship-wrecked mariner Braddock stumbles onto the island. He is horrified by what he finds and determines to stop the madness - but first he has to ward off an army of grotesque humanimals. 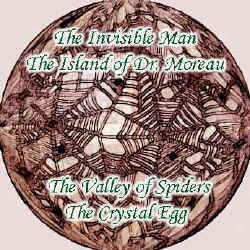 Could the Island of Doctor Moreau have been the inspiration behind the X-men series? For further information click [homepage].